The Glasgow Games, Best ever Yet! The Glasgow 2014 Commonwealth Games came to an end on Sunday night with the Closing Ceremony marking the finale of the competition – deemed the ‘best ever’ by Commonwealth Games Federation President Prince Imran. ‘The Commonwealth Games are known as the Friendly Games,’ he said. The closing ceremony, last night, ended the Glasgow 2014 campaign after 11 days of action across 17 sports, with hosts Scotland finishing fourth overall with a record haul of 19 golds and a best-ever tally of 53 medals. England topped the medal table for the first time in 28 years, Wales surpassed their target of 27 and Northern Ireland reaped their largest tally since the Games was last in Scotland in 1986. The Commonwealth Flag was also passed to Gold Coast to mark the transition to the next edition of the Games in 2018. The jamboree ended with a Closing Ceremony opened by Glaswegian singer Lulu and closed by Scottish singer-songwriter Dougie MacLean. In between were athletes emerging from tents, speeches, a presentation from the Gold Coast organisers and Kylie Minogue. 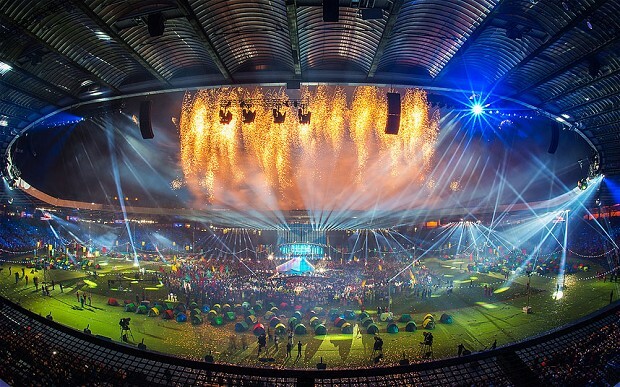 Finally, following a mass rendition of Auld Lang Syne, Scotland bid farewell to Glasgow 2014. The Games were then officially declared closed by the Earl of Wessex, Prince Edward, vice-patron of the CGF.